I would like to ask for your help! We are the Buzas family. The future of our three children depend on this decision about our application for permanent residence on humanitarian grounds. We arrived in Canada, in Montreal, in November, 2011. We fled from Hungary because the future and lives of my children were at stake. Each day, they suffered from mental and physical abuse at school. No mother can tolerate that. In Hungary, Roma children face discrimination from a very young age, from kindergarten. They don’t get the same treatment and opportunities as their Hungarian peers. They don’t get the same quality of education and chances as the Hungarian, non-Roma children. We found that here in Canada they don’t have to be afraid; they are in a safe environment, they can be themselves and they can evolve and flourish. Me, I got in to orphanage at the age of 11. In that place only me and my sister were Roma origin. We did not get the same portion of food as the Hungarian children. We were not allowed to take private lessons like the others, we did not get new clothes. If we did not behave the way we were told, we got a beating as a punishment. If we complained to the director nothing happened. When I had my own children, I saw the same thing happening to them. 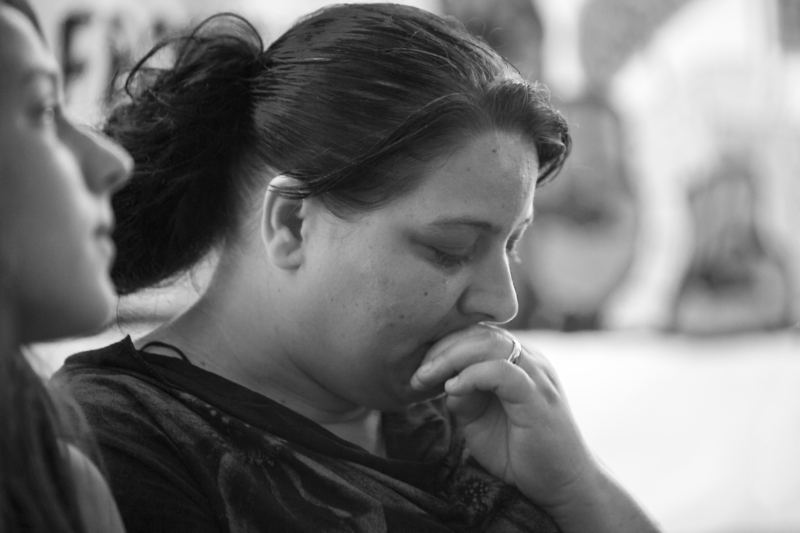 Each day, they suffered from mental and physical abuse at school because of their Roma origins. It was the worst for my son, because he was also ostracized and bullied because he stutters. This was not just other students, it was also the teachers. At a Mothers’ Day Celebration, for example, he was not allowed to recite a poem in public for the occasion. He could only recite it for me at home. When he made a complaint that his classmates regularly kicked him, the teacher did not do anything. Instead, Tibor was himself punished. He did not get the support that he needed for his language problem and stuttering. Because he got no help, he failed his grammar exam. Here in Canada, he has received the support he needed. He is in a special class and has specialized computer equipment. In 2011, when my son and I were outside our home, two men tried to hit my son, making racist comments because of our Roma ethnicity. I did not let that happen and stepped in between, so I was punched instead. My son cried and begged the two men to stop beating his mother. He was traumatized by that event and did not want to go to school. He did not dare to leave our house, he did not want to go outside alone. After this, we decided to leave Hungary. We just wanted to stop fighting. But here in Canada during immigration we have had to continue to fight for our rights. Immigration has now decided to send us back. If my children have to go back to Hungary, it will start all over again. Also in Hungary the government doesn’t accept the Canadian education and school system. They will lose their two years of school from Canada and have to go to classes with much younger children. Tibor and Lili, my youngest daugher, have language problems. When we arrived, Lili wasn’t able to read. But here they have gotten a lot of support and have developed a lot. The last school report said that Lili had made a lot of progress in her reading. In Hungary they won’t get the same support. They won’t progress in Hungary; instead they will lose what they have gained here. I fear for my children in Hungary. They are at risk because of their origins. They are too young to have to go through this, they are too young to fight. I sincerely beg you to help my children!